Django Framework. All you want to know about it. Today the business of websites creation is booming and so does the help of framework that ease the development of creating the complex website. Django is such kind of web framework. Django framework is written in Python, a software programming language. Django framework is an open source web framework and it helps you create web application for python. It is created and maintained by Django Software Foundation. We all want our e-commerce business to go up and want heavy traffic on our website. It requires a very complex and stiff website so that the traffic can be tolerated. But developing a complex and dynamic website requires a lot of hard work. Django web framework can help you there. Its basic and primary goal is to ease the development of complex and database oriented websites. Django framework comes with the reusability of components and faster development tools. Python, a language is used throughout the creation. It is also used for setting files. Some administrative features are also provided by the Django like create, delete, update and read interface which are generated dynamically. If we want to create the web application, we are going to need web server gateway interface, SQL interface, Template etc. All these tools and libraries are accommodated in Django framework so that you can concentrate on developing a good website without worrying about all these administrative stuffs. You can also include third party libraries if you ever want during the development. Python is a high level, dynamic programming language. Python concentrates on short codes with good readability. Its syntax allows developers to predict more concepts in very short codes thus helping them save time. As far as the paradigms are concerned, Python supports multiple of them like functional programming and object-oriented etc. It has a unique feature of memory management and has a very large and comprehensive library. Python code can be used on variety of systems. For this purpose we can trim the Python code into stand alone programmes for popular operating systems. So Python based application are run on, used on different environment without worrying about the installation. Reasons to use Django Web Framework. Django has been there in the market for more than 10 years now. This only proves its popularity. If Django doesn’t sound better for the development, it has to be disappeared. But this is not the case. In these ten years, Django framework has several releases. Django is the first web framework in class to meet the challenges and also lets other framework patch up when same risks appear. Big bulls run their businesses on Django framework. It has been working behind the scenes without much promotion unlike rails. But it doesn’t say that Django is behind in terms of popularity. Pinterest and Instagram are those giants which rely on Django web framework. Django has very large and reliable offers around the world like Python. Thousands of packages will come up if you search “Django web package”. Documentation is the key feature for Django framework unlike other frameworks. This one is the best example in the world of open source documentation. Last but not the least, Django has a very supportive team in the world. Why Django Framework is more suitable for Start ups? Django is fully featured web framework that one can need to create a hassle free web application. As a widely used web framework, Django has a very good community that is available for your query 24 hours. Python is a very popular programming language among both experts and beginners. 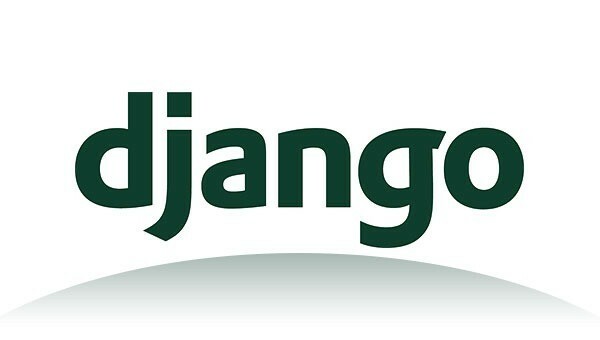 Depending upon your requirements you can choose Django package among many available in the market. Python works almost all the platform MAC, Windows, Linux etc. And wherever Python goes, Django follows. As said earlier, Documentation is the key feature of Django framework unlike the other frameworks. Django comes with the Admin Panel that works out of the box and help you develop the best web application with very less efforts. For start ups, this means newly individuals can work on it without worrying about the technical matters. Examples of Django Web Framework. Some of the well known organizations using Django web framework are : Pinterest, Mozilla, The Washington Times, Instagram, Nextdoor. Pros and Cons of Django. Ø Django needs no installation and practical training thus minimising the training and support cost. Ø Django framework support more several concurrencies so that problem can be detected and solved even before they appear for real. Ø CSS and HTML techniques are easier to learn for the beginner. Ø Python modules and codes are integrated into Django so that user will work without any interruption. Ø Django framework is an open source framework and it is very transparent to backhand users as well. It is free also that means no licensing fees, no yearly fees, no maintenance fees. Ø Django’s extraordinary documentation includes a free manual and a book. This means new bee can learn it for free. 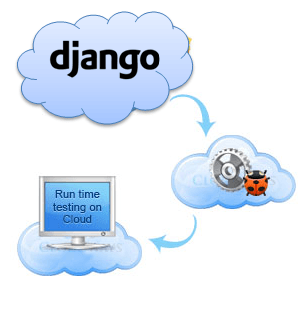 Ø Django runs on multiple platforms and on several databases without any hurdles. Ø Google helped Django to be better in framework quality. Ø Because it is a client-server system, some issues rise about the server and database operations. Browser compatibility problems are there too. Ø The main disadvantage is the Admin impression. People love the admin panel but it is of no use in the application development. But let me clear one thing that disadvantage for one user might be the advantageous for the other and vice versa. As said earlier wherever Python goes, Django follows. If your hosting service provider offers python then it should support django too. Before selecting any host, you should cross check django’s website with your host’s package to make sure that you have one full compatible set up because some versions of python are not compatible with django. Today the business of websites creation is booming and so does the help of framework that eases the development of creating the complex website. Django Hosting Providers is such kind of web framework. Django framework is written in Python, a software programming language.